Shannon Airport Authority DAC (SAA) is an international airport company employing over 260 people. As well as the day-to-day management of Shannon Airport, the SAA also manages major commercial activities at the airport including operation of duty and tax free shops, concession management, executive lounges and car parks. The airport comprises approximately 855 hectares of land, of which 493 hectares are used for the operation of the airport. It has its own fuel storage farm with hydrant delivery systems and its own water supply facilities. In 2009 Shannon became the first airport outside North America and the Caribbean to offer US preclearance facilities for scheduled and corporate aviation. It is now the only airport in Ireland to offer preclearance facilities for both commercial and private aircraft. Shannon Airport is committed to the delivery of a safe, secure and customer focused airport operation. This is achieved through its commitment in delivering its service to the highest national/ international standards and best practice. 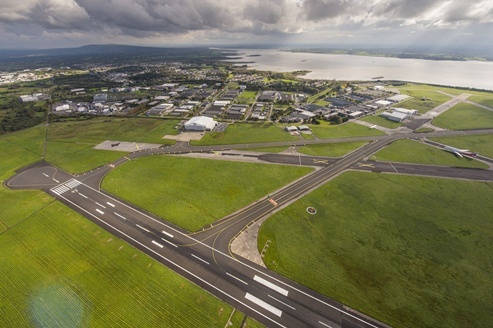 Shannon’s unrestricted runway, round the clock operation, efficient handling and the presence of many of the major global logistics firms provide air cargo options unavailable at any other Irish airport. Shannon plays a key role in Ireland’s international trading performance. The significant clusters of export-oriented industry in the West, Mid West and South of Ireland in particular depend on Shannon’s cargo services and facilities for timely access to their major markets. Turkish Airlines Cargo operates weekly scheduled A330 freighter services from Istanbul via Shannon to New York JFK, Chicago and Atlanta, with full fifth-freedom rights. UPS, FedEx and DHL all provide nightly air service between Shannon and their respective hubs.